What computer equipment do you use? All of our public training courses are run on Microsoft Windows PCs, using Windows 10. For bespoke training, you are welcome to bring along your own PC or Mac, but please notify us at least a week in advance if you wish to do so. How do I get to the Newark training centre? Our Newark training centre is located at Newark Beacon, Beacon Hill Office Park, Cafferata Way, Newark, Nottinghamshire, NG24 2TN. For Sat Nav’s, use NG24 2JJ. We are located within Newark Beacon Innovation Centre which is inside the large blue and grey office building. Please ask at reception for Benchmarq. There is a free car park directly outside Newark Beacon Innovation Centre. If you are unable to find a space you are allowed to park on Cafferata Way, which is just a short walk away from the centre. We would advise to leave an appropriate amount of time to find a car parking space as it can be rather busy in the mornings. How do I get to the Billingshurst training centre? Our training centre is located in Jengers Mead, Billingshurst, just off the main high street. If you are using a Sat Nav please put in the following address: 9 Laura House, Jengers Mead, Billingshurst RH14 9NZ. We are located directly above St Catherine’s Hospice Charity Shop and our door is to the left. There are plenty of car parking spaces in Jengers Mead. The car park currently costs £3 for the whole day. We have tried to make it as simple as possible to book a place on one of our courses. Once you have selected the course you wish to attend add the number of recipients you would like to purchase for the course. For example, if it is just you attending just select one person, however, if more than one of you are attending and need to book more than one place on the course, select the desired number of “bookings” you require. Once you are happy with the number click on “Add To Cart”. This will bring you automatically to the checkout page so you can review your order. If you are happy with your order click on “Proceed To Checkout” then proceed to fill in your details and click on “Place Order” under Review & Payment. Once you have placed an order you will receive an email with your invoice from WorldPay. Please keep this handy for future reference. If you have not received this email please check your spam box or call us. If you would rather speak to us on the phone to book a course please call us on 01403 784 139. Please note we use WorldPay for transactions which is a secure payment method. What internet browser do I need to book a course? For security reasons our courses calendar and booking forms will only work on the latest versions of Chrome, Safari, Firefox and Internet Explorer 9+. Unfortunately Internet Explorer 6, 7 and 8 are no longer supported. In order to book on a course we would highly recommend updating your browser to the latest version. Alternatively you can always ring us on 01403 784 139 and one of our training team will book you a place on your desired course. We would also like to add our training website is fully optimised for mobile so you can always book on your smartphone. Can you come to our company office? Yes, we are able to deliver on-site training at your offices and can also provide computers and software required to run the course. If required we can also run a courses at suitable serviced premises located near your offices if required. Please contact us for further details. Are the training courses aimed at companies only? No, our public scheduled courses are available to everyone and are often attended by individuals as well as delegates sent on behalf of companies. What size are your training classes? Our training courses run with a maximum class size of 6 delegates. Our scheduled training courses run from 10am to 4.30pm each day. For private training courses we can be flexible with the start and finish times to suit your office hours. Can you support me after the course? Yes, each person who attends a Benchmarq course will receive 3 months post training support. This means that when you are back in the office, if you need assistance on the software, or you have forgotten something covered on the course, you can log a call with us and one of our trainers will contact you to help out. No, our training centre is set up to provide each person with a training machine that has the relevant course software already installed. Our costs include training material, lunch and refreshments throughout the course. How can I claim my Autodesk Certificate after the course? As we are an Autodesk Authorised Training Center, all delegates who attend a relevant Autodesk training course are entitled to claim a certificate of completion. 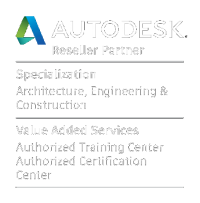 Delegates must claim these certificates directly from Autodesk within 30 days of the course start date. – Go to: http://education.autodesk.com/register and register as an Autodesk student. – If you already have an Autodesk (software or other) account and this blocks you from registering as a student, you can access the system via: https://education.autodesk.com/login-student by putting in your current account details and asking for a password reset. – Fill out the form making sure to say ‘YES’ to “receiving survey requests from Autodesk”. This is an essential step and you will not be able to access the evaluation form or claim your certificate without it. – Once you submit the form and set-up is complete you will receive an email asking you to validate your account. – Validate your account and remember to bring the details of your student login to the training. At the end of your course your trainer will guide you through the process of claiming your certificate. We can also provide Benchmarq Certificates of Attendance for all of our courses. There is parking available at our training centre in Billingshurst, where there is a large pay & display car park just 50 metres away. The cost of parking for the whole day is just £3. There is also Billingshurst Railway Station which is a 10 minute walk away from our training facility. There is parking available at our training centre at Newark Beacon and the nearest train station is Newark North Gate Station which is a 15 minute walk away. If you would like to know more please contact us on 01403 784139. When do I receive my confirmation? We will send out a confirmation email immediately after booking and send you information regarding location, parking and hotels where applicable. Courses include lunch and refreshments, course exercises and certificates where applicable. Course costs exclude VAT.